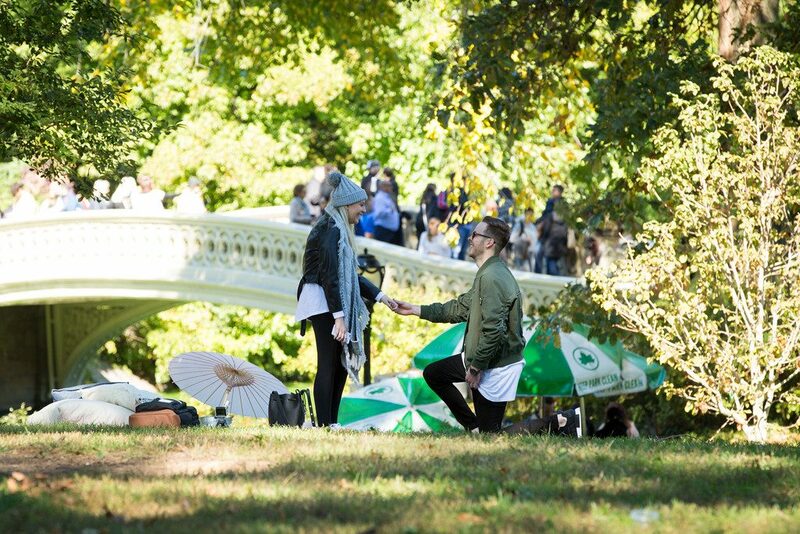 So, you’ve decided on Central Park for your proposal, but you’re not quite sure what part is right for you? Here are some of our top 5 picture-perfect Central Park proposal ideas. As the nation’s leading surprise engagement proposal photography company, there’s no proposal idea we haven’t done or captured. 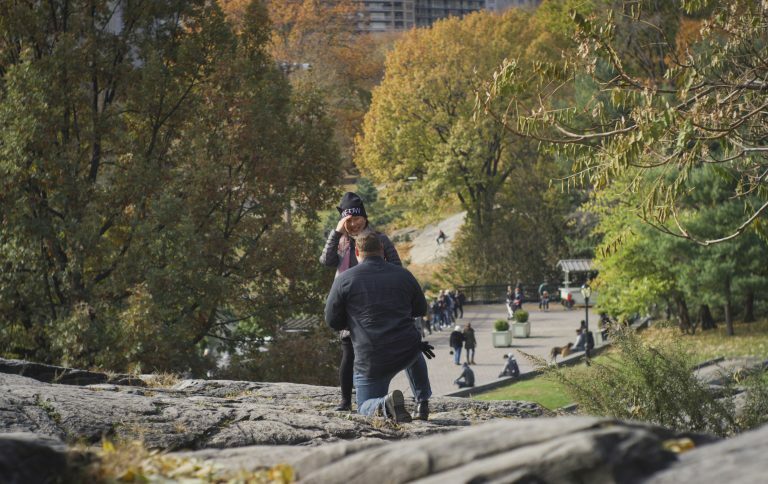 When it comes to proposing in Central Park, there’s countless great places and secret areas. We’re sharing some of our favorites. 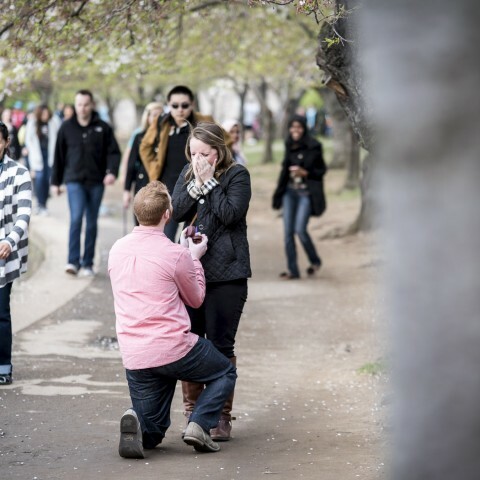 Because when it comes to your engagement proposal, we promise to be there every step of the way. Central Park is one of our favorite places to get engaged, but if you'd like to discuss even more ideas, give us a call today! Give one of our experts a call at 1 (888) 287-5120 to start planning your once-in-a-lifetime moment. Your dream proposal is one phone call away! 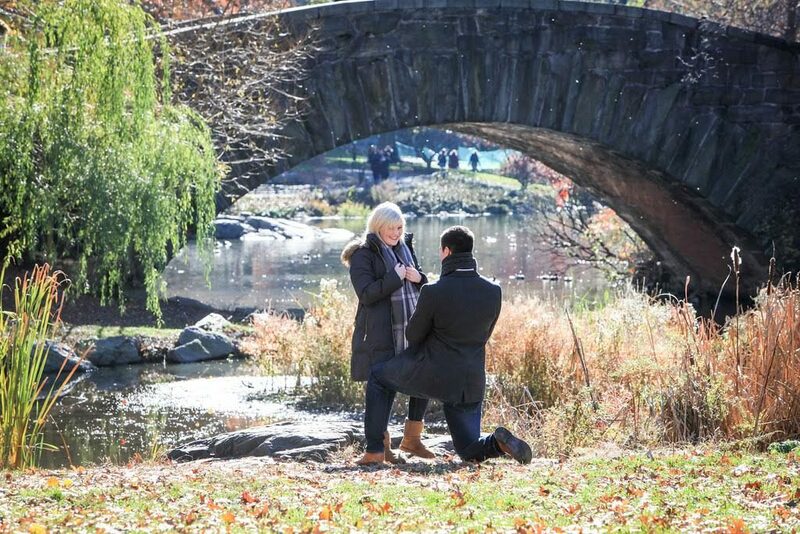 From Bethesda Fountain to Gapstow Bridge, Central Park in New York is home to bountiful locations for a movie-like proposal. And we don’t just talk the talk, we capture it. One of Central Park’s most iconic attractions, Bethesda Fountain will add some of that Roman glare to your proposal. Plan a romantic walk throughout the park and, at the picture-perfect moment when passing the fountain, drop down to one knee! If you want to check out more pictures from this stunning proposal, click here! 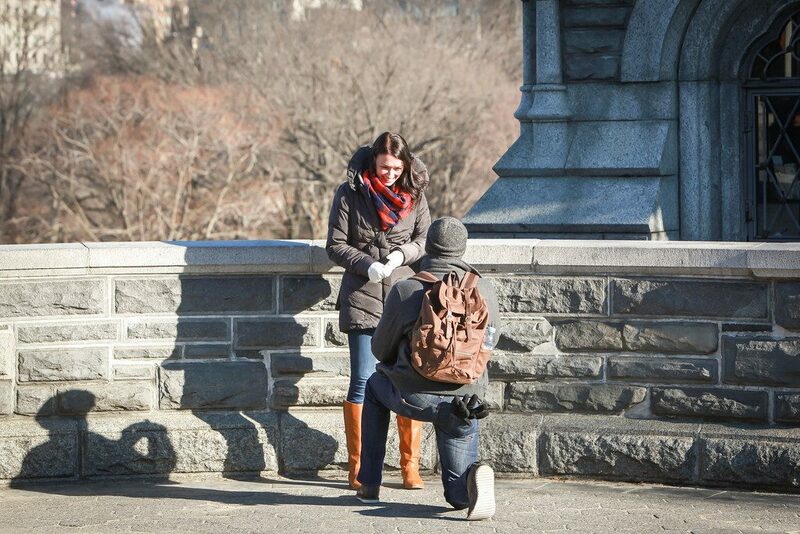 Make your proposal royalty by asking for your partner’s hand in marriage at Belvedere Castle! East of Shakespeare Garden, this historic castle is home to thousands of proposals year-round. And we can tell why- the architecture is stunning! The royalty doesn’t stop there, check out the full proposal here! Can’t decide between the skyline or the water as the backdrop to your proposal? Why not get both by proposing at Bow Bridge! A bridge connects two different pieces of land, which is the perfect symbolic location for you to merge two lives with one diamond ring. Check out the whole proposal unravel here! The ideal place for a picnic, Cherry Hill offers a stunning backdrop view of Bow Bridge. Plan a deliciously romantic picnic for your special someone, and just when they think the day can’t get any better, prove them wrong by getting down on one knee. Interested in the couple’s love story? Read how they met and, inevitably, fell in love here! 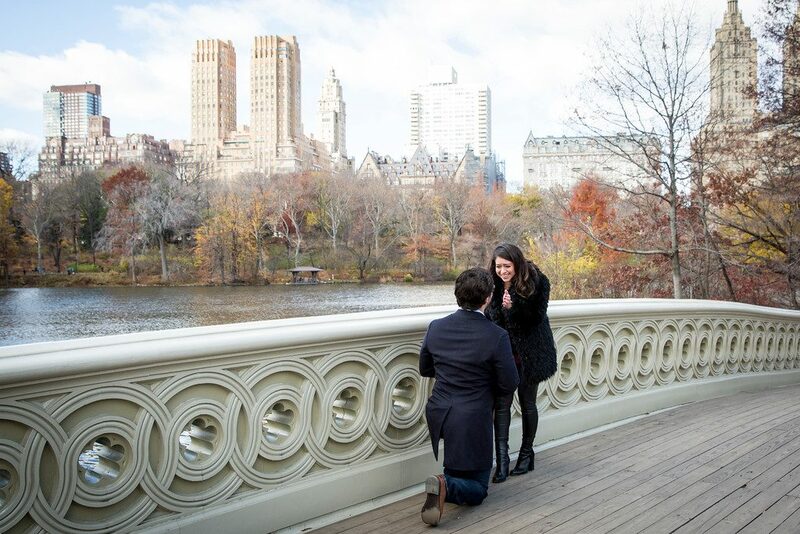 Sure, Central Park can often attract large crowds, which can take away the intimacy from your proposal. However, this doesn’t have to be this case. Gapstow Bridge is an ideal picturesque spot, away from the trails and perfectly secluded, providing a charming atmosphere for you to ask for your partner’s hand in marriage! Starting to get excited? So are we! And our ideas don’t stop here. 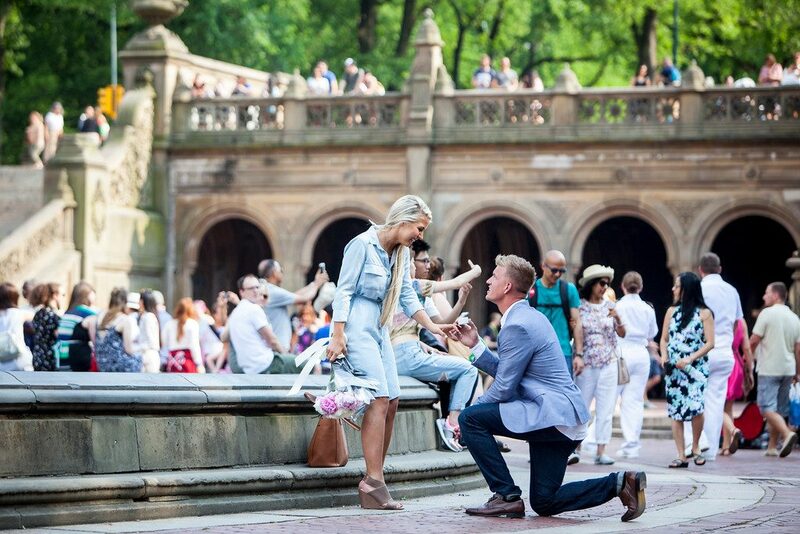 Click here to read some of our other favorite proposal ideas in New York. And if you want a daily dosage of romance with your morning coffee, follow us on Facebook and Instagram! Thinking of popping the question? Let us make it picture-perfect!